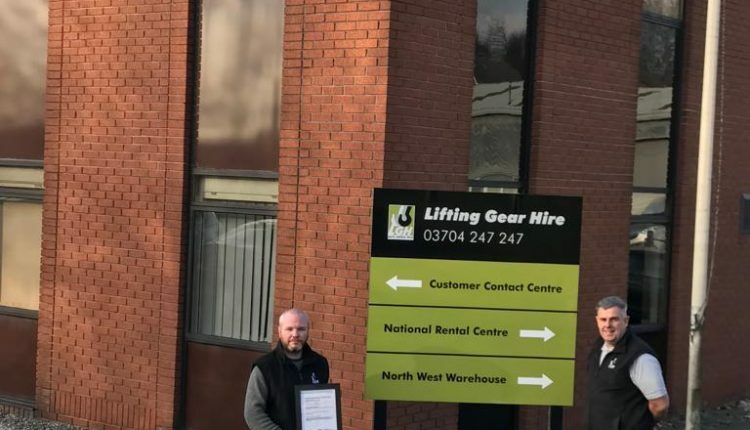 Lifting Gear Hire’s (LGH) national rental and customer contact centre in Atherton, Manchester has received the company’s second ISO accreditation in a year. This follows equal status that was granted to the Aberdeen warehouse in January. ISO 9001:2015 is based on several quality management principles including a strong customer focus, the motivation and application of top management, and continual improvement. LGH executives had earlier referred to it as the “pinnacle of standards” and a “minimum benchmark” for any business dealing with safety-critical products. Barry Jones, Compliance Manager at LGH, explained that the intensive process involves close examination of quality management systems at each location. A detailed overview of a facility includes production of a risk register, assessment of customer satisfaction, plus scrutiny of senior management, the approach to processes, and more. LGH was recently present at the Lifting Equipment Engineers Association’s (LEEA) recent LiftEx trade show in Milton Keynes, where members of the wider worldwide management team from the USA, Holland, Germany, and Belgium were in attendance.